The Backscratchers was founded in 2012 by Jody Orsborn and Leo Critchley. They turned an idea for a business plan competition into an industry-approved business that has helped over 350 agency, brand, music label, and startup clients achieve their creative goals, handling thousands of projects in the process. Their formidable client list includes the likes of Spotify, Twitter, Red Bull, Unilever, Meantime, Jagermeister, Universal Music, BMG Records, Innocent, Dentsu Aegis, Porter Novelli, Cannes Lions, and many more. WNW and The Backscratchers have complementary communities and a shared mission. Both companies were started by creative insiders with strong ideas for fixing broken hiring systems. "I had been both a freelancer and a client and found that the system was broken from both sides," says The Backscratchers co-founder Jody Orsborn. "As a freelancer, I always heard about jobs that would have been perfect for me AFTER they happened. I also wasn’t the best at self-promotion. As a client, I found it difficult to expand beyond my current network when I needed to hire people outside of my knowledge, skill or location base. We wanted to create a community and service for clients and freelancers that would genuinely make the industry better and everyone’s jobs easier." It's an ideal fit for both communities going forward. "Joining with Working Not Working will be a massive value-add for our clients," says Tom Pinchard, Commercial Director of The Backscratchers. "In addition to The Backscratchers network, they'll now have easy access to Working Not Working’s curated range of global talent, enabling them to deliver world-class work." "We believe that Working Not Working has our same dedication to transparency, quality and 'good people doing good things together,'" adds Jody. "It's the perfect next step for our business." Get to know a bit more about The Backscratchers directly from Jody and Tom in our interview below. Head to It's Nice That and The Drum for more coverage. Can you tell our readers a bit about how Backscratchers works? Jody: We are sent briefs and then figure out who in our network of hand-picked, curated creatives (freelancers, teams, or agencies depending on the size of the project) are the best fit to do it. We’ve been called creative concierges and the “integrated agency of the future” before. We have all of the traditional industry roles like animators, designers, illustrators, producers, etc….but we’ve also had to source some pretty out-there stuff like sexperts, glass harpists and more. We are always game to help “fix” our client’s problem or need. You meet the needs of creative companies by partnering them with great creative talent. What’s your take on how you’ve done that so successfully? Jody: Everyone in the team has been both talent and client...so we set out to create a service that solved our own problems and frustrations and that we would personally want to use. I think that really resonated with the clients. We understood their frustrations because they had been our own frustrations too. We also always tried to have a “we can fix it” attitude and to look for alternative ways to solve a problem if the obvious way wasn’t possible due to budget or timings. Clients appreciated that as they hear “no” way too often. Tom: Being authentic and passionate about awesome people doing amazing work for great companies. 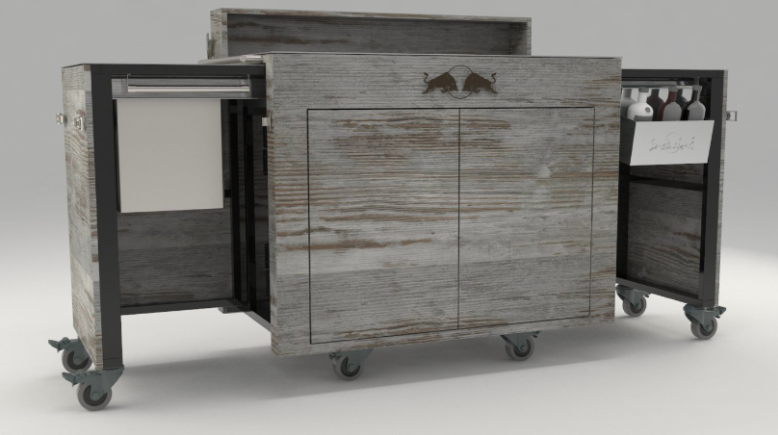 We also love being educated by our creatives into the nuances of their chosen specialisms. This invaluable learning allows us to understand the creative process and help translate that to our clients. This also works on the other side too. I love learning about our clients industries and being able to provide insight and investigate opportunities. Backscratchers, like WNW, is built on the importance of solving problems through creative talent. What are some of the project highlights that Backscratchers was integral in facilitating? Tom: Working with alt-J and the record label to help create an engaging campaign to promote their latest album Relaxer, which revolved around a 90’s Japanese game called LSD: Dream Emulator. The creative assets included mind-bending teaser videos, website build, and custom game creation. 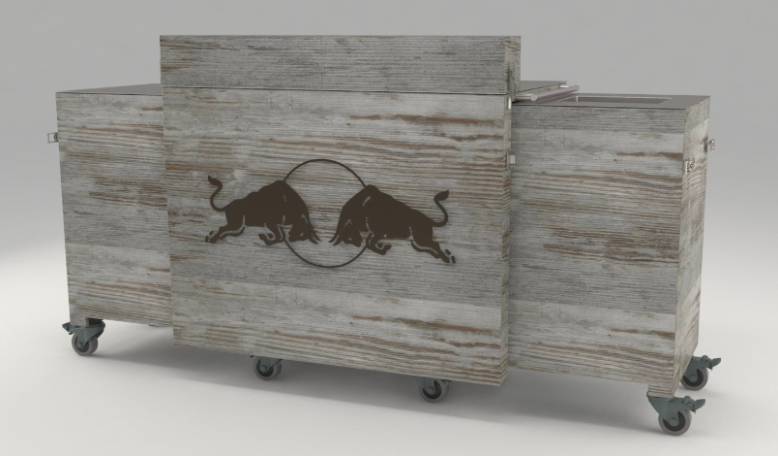 Tom: For the last three years we have worked with Red Bull on a huge range of functional & innovative P.O.S (point of sale) and venue activations which included custom furniture, dynamic signage, service tools, light boxes and much more. Personally, it's been a fascinating journey with specialist makers learning about manufacturing and the ins and outs of plastics, wood, metals and the myriad of cool stuff you can do with them all. Jody: I absolutely adore the Bee Hotel that we helped build for Rubber Republic and Taylors of Harrogate. My favourite thing about this project is that the team that did it weren’t just amazing set designers and makers….but they also happened to be beekeepers themselves. It was the most perfect match imaginable. Jody: We also did a project with Spotify where we connected them with a software company that used your computer’s camera to measure your emotional response to different music videos. The app then suggested a playlist based on your favourite genres. So it would be like...you said that you hate rap, however, you actually LOVE rap, you were lying, it’s a guilty pleasure, here’s the playlist you should be listening to. It was super fun. What have been your biggest takeaways from Backscratchers? Tom: There is a real appetite for brands & agencies to work with a larger creative base across all touchpoints. I believe it's such an exciting time for creativity and the ‘rules’ are changing daily - in order for brands to succeed and cut through, they do need to be brave with their creative. The challenge for us as curators is to make the process of helping clients connect to the best people efficient, enjoyable and inspiring. Jody: The power of saying “yes” to people and that anything is possible with the right attitude and the right network.